LEAVE A COMMENT TO BE ENTERED TO WIN AN AMAZON GIFT CARD! 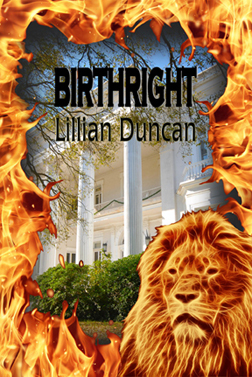 BIRTHRIGHT is my latest novel. And it’s not like any of my other books. It’s a supernatural horror story. Definitely out of the box. I love to read books like that and even watch some of the supernatural/fantasy movies. Some not all! But I never thought I’d write one. Then one night I had a dream. The moment I woke up I ran up to my computer and wrote a paragraph about the dream. Later that day, I added a few more paragraphS…and that was the beginning of BIRTHRIGHT. When it was finished, it was finished. It was a story I wrote for myself. I didn’t submit it to even be considered for publication. But every now and then I’d take it out, read it, revise and polish it a bit more. I loved the story, but didn’t do anything about getting it published. After I turned my final edits in for the next in my Deadly Communication series (Deadly Intent), I started working on a different novel, but suddenly BIRTHRIGHT seemed to be calling my name. BIRTHRIGHT tells the story of Sam Langstrom. Every story has a beginning, a middle, and the end (or at least it should!) and this one is no exception. The Beginning is set in pre-Civil War times when Sam’s birthright begins. The Middle is in the seventies and eighties where we learn about his own family. And The End happens in contemporary times as Sam must decide if he will or will not accept his birthright. Is evil real? Does it prowl around like a lion searching for its next victim? Sam Langstrom knows the answer to those questions. He’s known since he was a child. Evil is not only real, but his birthright. But can a man change his destiny? With God’s help, Sam believes he’s put the ghosts of his childhood behind him. 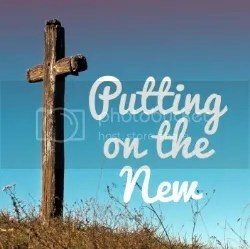 Now a preacher with a wife and a child of his own, life is good. Right up until that moment when his house explodes in front of his eyes—with his child inside. He has one chance to save his child, but to do so means to turn his back on God. Will he accept his birthright—bow down to the evil? Will he give the lion its final victory—his soul? So, it’s time to celebrate the release of BIRTHRIGHT with a giveaway! One lucky winner will receive a $10 Amazon gift card. Two more will win a $5 gift card. Leave a comment and you’ll be automatically entered for the giveaway. Winners will be picked on March 17! ← Are You Putting God In A Cage? I hope you do! Unfortunately the giveaway is over. Thanks, Barb! Miss you more! Wow, Lillian, this book sounds incredible!!! I too have some interesting dreams…maybe I’ll use one for my next novel!! lol 🙂 Can’t wait to read this! This sounds like a book I would love to read…..the cover is perfect! Congrats and thanks for the heads up on some deals on your books at Amazon! It sounds like an excellent read. Definitely need to read this! A Christian supernatural horror story… Wow! Sounds fascinating. Congratulations! In a way, all horror stories are Christian since most are about the battle of good and evil. This was a powerful read about the battle between the Satan’s kingdom and the Kingdom of God. Thanks, Ann. I’m glad you enjoyed it. Sounds like a great read! looking forward to it. Oh Lillian, this is so different from your other books! I was prepared to hate it, wasn’t even going to read the blurb, but I did…it grabbed me!!! LOL!! Looking forward to reading very much! Now I do like a good supernatural horror story. In the daytime with my Hubby in the room. LOL I’d love to read your book..
It’s funny that you should say that. When I was writing this on the nights when my husband was bowling, I’d get so spooked. Then when he came home, it was usually to me leaving out a few yelps! Lillian, congratulations on the new release. This one sounds like a great read. Thanks. It’s different but I like it!